With 10 hectares of new vineyards, planted in 2011 and 2012, the Zure family now has the largest vineyards on Korčula island. 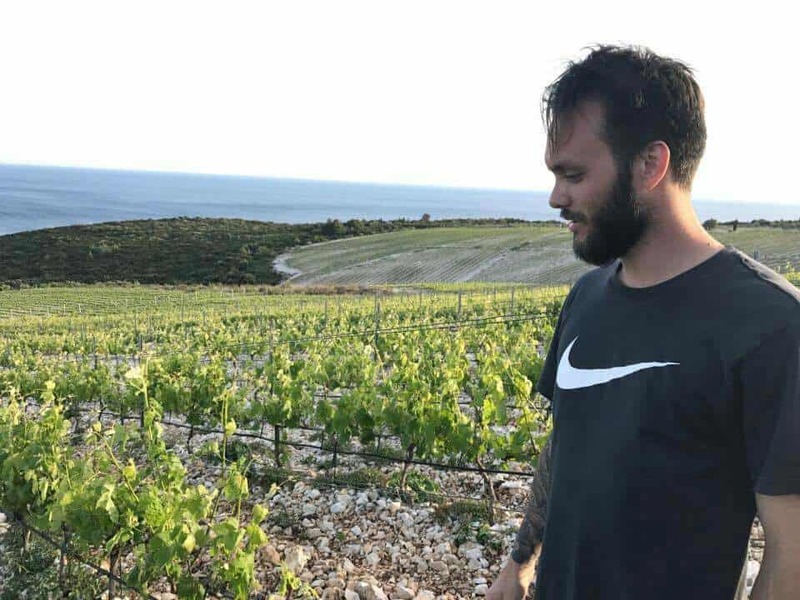 The new generation of winemakers in the family is keen on exploring with the Korčula’s most interesting grape variety – Grk. 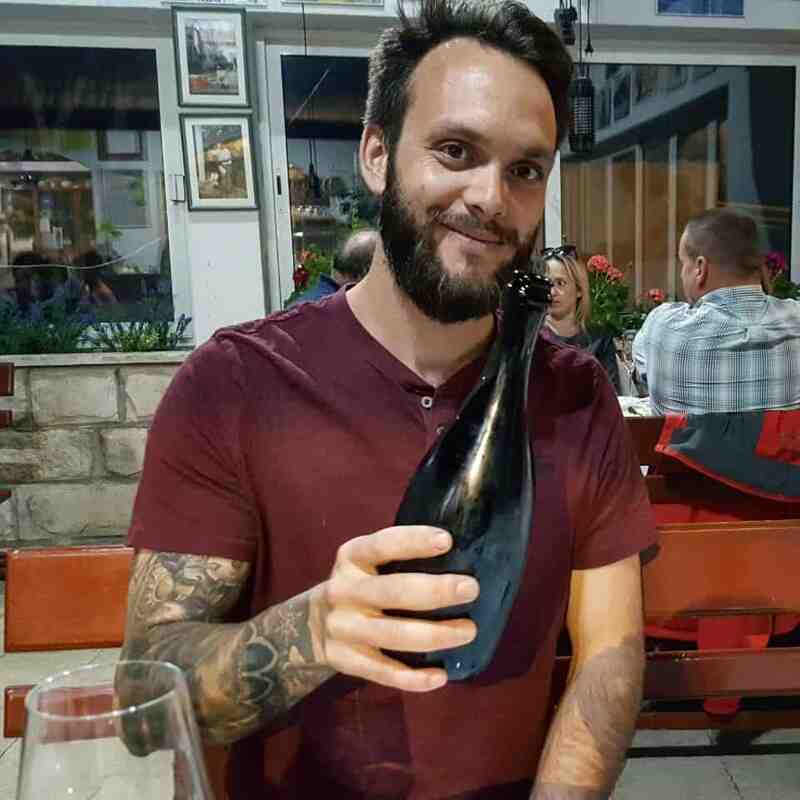 This is why you need to know about of the Zure winery. Korčula is the largest island of the Dubrovnik-Neretva County and home to many refreshing white wines we adore. This is the island of food and wine with a rugged coastline that hides fairy-tale bays. Settled right next to Pelješac peninsula, the kingdom of Plavac Mali wines we recently wrote about. However, Korčula is more focused on whites – Grk and Pošip to be more precise. Limited in production, it’s really rare to see those wines outside the island. During the summer months when Korčula becomes an enogastro mekka for numerous tourists visiting Croatia, almost the whole production of Grk and Pošip can be consumed on the island. Maybe you already heard the story about the grape variety, Grk, which actually has only female functional parts of the plant and needs to be planted with other grape varieties to reproduce successfully. 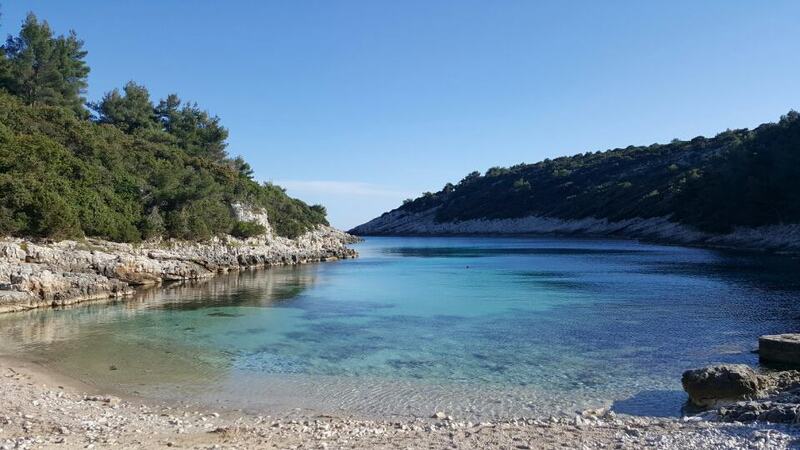 So, against all odds of nature, Grk grows only on Korčula island, around small fisherman town of Lumbarda. Sounds like a legend, but the story is very real. The wines are exceptionally rich, so you cannot compare it to only one grape variety. It is often reminiscent of Sauvignon Blanc because of intense aromatic, Chardonnay because of the richness of flavours and warm feel on the palate. And finally, Riesling because of the refreshing acidity. No wonder why, celebrities visiting Korčula with their yachts, like Bill Gates and Demi Moore, reach for refreshment with the glass of Grk. With the help of EU funds, the Zure family planted 10 hectares of new vineyards on stunning sites on the southern slopes of Lumbarda. Most of the new plantings are Grk, followed by Pošip and Plavac Mali plus international red grape varieties. 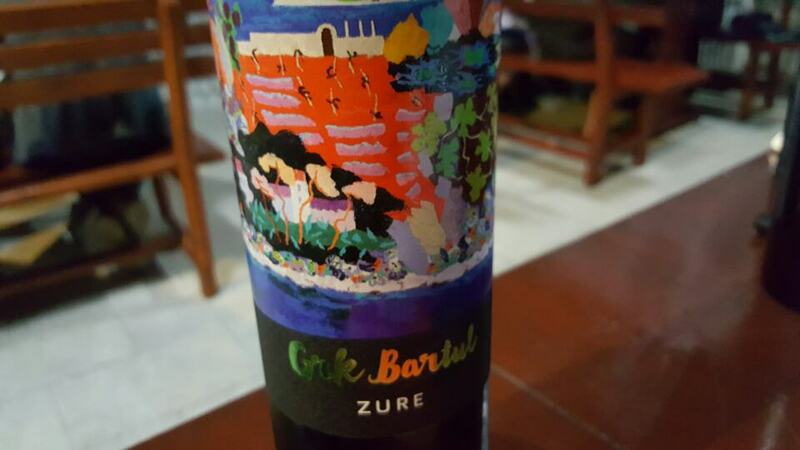 Although 2014 was an extremely hard vintage for most Croatian wine regions, the Zure winery managed exceptionally well. Ivan explains: ” 2014 was our first vintage from the new vineyards and the year we had to start returning the loan we got for new plantings. If it wasn’t for good results, we wouldn’t be standing here today.” The family invested all of their money, land, and belongings to the new plantings. 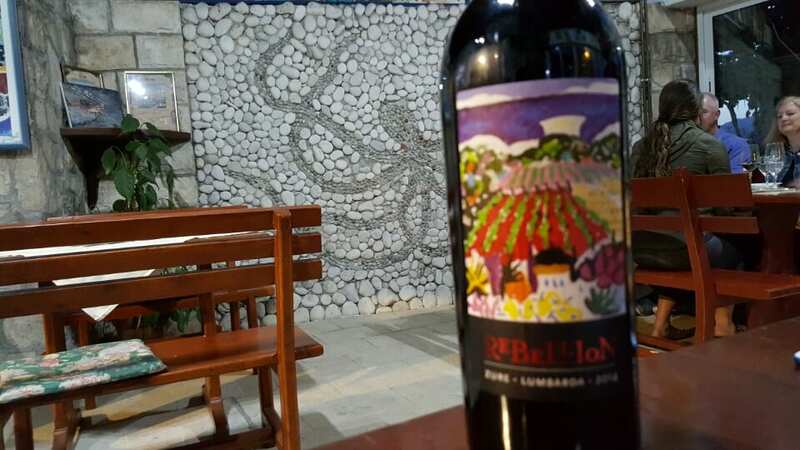 One of my favorited red from the winery, a blend of Plavac Mali with international Cabernet Sauvignon, Merlot, Syrah and Alicante Bouschet the Rebellion, surprisingly comes from 2014. Concentrated aromas of dark berry fruits, black currant and blackberries seduce on the nose. The wine that have spent a year in new 1.000 liters oak barrels and the oak flavours are so elegantly integrated into the wine, leaving the fruits to come first. A long aftertaste is what we, red wine fans treasure, like a prolonged experience of wine. The Zure Rebellion 2014 has a long, long aftertaste and ultimately the flavours turn to blueberry marmalade, still fresh and way from being jammy and overripe. Grk remains the focus of their production. The demand is so high; they can hardly produce the quantities they need. Vintages of 2014 and 2015 are already gone, and we arrived just in time for the new 2016 release. 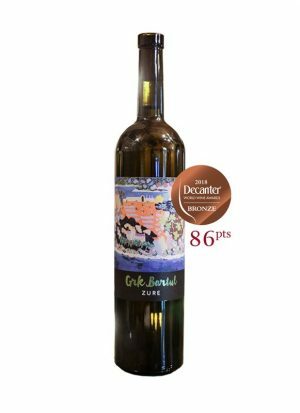 Zure Grk Bartul 2016 has 13,5% alcohol, on the higher side of white wines, but with that intensity and strength, Grk handles it without you even noticing it. As we said above, it is extremely rich variety capable of producing white wines that are so layered; you could easily think that the wine spent some time on the lees, or maybe oak. This fresh and young Grk, is so rounded with refreshing citrus and ripe bourgeois fruit it makes you think. Those wines have potential to age in a bottle for few years, that is if you can keep them long enough. Even here at the winery, they don’t have the archive themselves, while they cannot hold for the bottles for so long. True delicacy comes in a form of matured Grk on the lees. All of what we already talked about, power, aromas, flavors boosted with aging sur lie in 2.000 liters large, custom made oak barrels. We tasted the sample from the barrel, still waiting the right moment to come out. Even now, still too young and not prepared – it was amazing. Here at the winery Zure, they started experimenting more with these diverse grapes. That lead to producing the first ever, sparkling wine made from Grk. True rarity comes in only 200 bottles and we had the privilege of try the first vintage, 2015. Produced with methode traditionelle, the sparkling spent 1 year on the lees. If you aren’t a fan of vintage Champagnes and intensive aromas of bread, brioche, and toasted nuts – you will enjoy it! Very refreshing, with ripe apples and pears on the nose, I already see that it’s going to be a summer exclusive for lucky ones that can get to it! The winery also has a domestic, traditional restaurant where the menu changes depending on which fish they manage to get from the local fisherman. As we were there, we saw one old fisherman just bringing his freshest catch to the restaurant. Like eating directly from the sea, that’s amazing! This was the first time I tried the octopus buzara, rich and sweet tomato sauce made with wine and garlic, with shredded octopus. All of the compliments to the chef, this was an exceptional combination of all the flavors I like. Must try if visiting!